Earlier this month, we made a review of Elephone A6, a wonderful triple camera smartphone from the company known as Elephone. 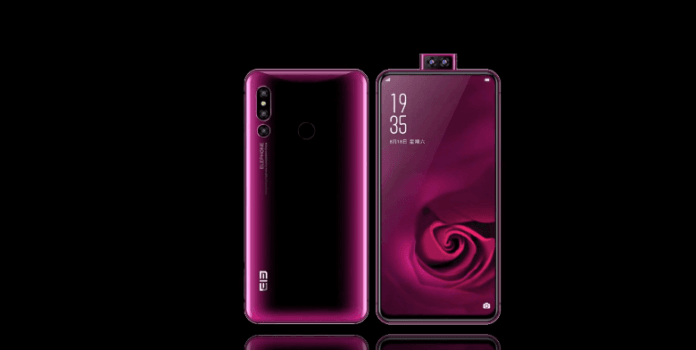 In this review, we are outlining specifications of Elephone PX has just been announced with full specifications in the month of October but according to Elephone’s culture, has not been released. The beauty of this device is that it has four cameras. Apart from that, it adds modern design techniques alongside good features. Let’s take a look at features such as price, design, hardware, software, and battery life of Elephone PX. This device is primarily made of aluminum alloy and metal. These are top quality materials used on sophisticated smartphones. It is known as a smartphone with all basic features. It is not water resistant, but it is dust and scratch resistant. It comes in black color alone, at least for now. Display type for the device is HD+ IPS LCD capacitive touch screen with 16 million colors. The screen size is 6.34 inches, and it has resolution of 720 x 1500 pixels. Furthermore, the pixel density is 267 pixels per inch, while the screen to body ratio is 80 percent. In the same vein, aspect ratio is 18:9. It is made up of 2.5D curved glass screen. There is no secondary display for Elephone PX. To the rear of Elephone PX there are two pop up cameras. One is 16 MP and the other is 2 MP. These come with dual LED flash, and f/2.2 aperture features. The video has FHD technology and can produce 1080p@30fps video quality. Other features are auto focus, continuous shooting, digital zoom, face detection, geo-tagging, panorama, HDR, and more. The selfie camera also has two shooters as well. It comes in 16 MP plus 2 MP with front flash and aperture f/2.2. These specifications are amazing as it is hard to see phones with dual selfie camera setup such as we have in the Elephone PX. Android 8.1 Oreo is the primary driving force when it comes to operating system in the Elephone PX. The user interface is modified for optimum use. In the same way, the chipset on the device is MediaTek Helio P22 with process technology 12nm. The CPU is Octa-core 2.0 GHz 8-cores, while the GPU for graphics is PowerVR GE8320. It comes with 64-bit architecture. There are two variants of the device and the storage capacities are 3GB/4GB of RAM, while for the internal storage, there variants 32GB and 64GB. These can be complemented with the use of microSD card to increase storage up to 256GB on the external side. There are 2G, 3G, and 4G internet networks in Elephone PX. This signifies that the device is able to handle GSM, WCDMA, and LTE internet networks. Two Nano SIM card slots are available to do the work. In addition to that, other common components such as Wi-Fi, Wi-Fi Direct, mobile hotspot, Bluetooth, GPS, A-GPS, GLONASS, microUSB 2.0, HDMI, 3.5mm audio jack, and more. However, Elephone PX lacks infrared and NFC technologies. It is a good 3500 mAh non-removable Li-Po battery for backup in the device, which according to the specifications given above makes this battery really worth it. Although there is no wireless charging technology in the Elephone PX, there is fast charging available and couple that with power saving mode, everything will be just fine. The price of Elephone PX is around $180 USD. You may find it different online but you could order directly from the official website. The smartphone will not be up for sale until December 2018.